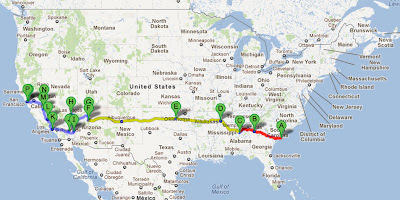 Our idea is to cross the United States on a bicycle, from East to West, starting in Charleston, SC and finishing in San Francisco, CA. 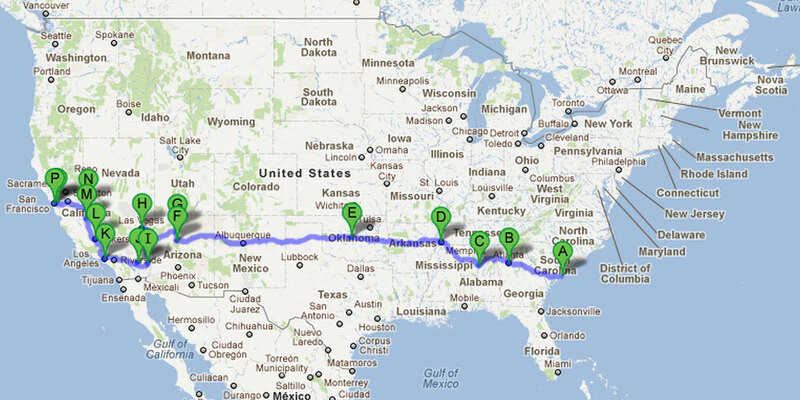 It will be a 3500 miles/5600 kilometers ride. Part 2: Long stretch of very little to be seen. Ride as much as possible everyday. Part 3: Main touristic points, cities and national parks. As you might imagine, a great deal of effort has gone into planning each step of the way. We hope this information will help others attempting a similar journey. Soon we will post here the detailed information on where we will be on each day of our journey.